If you're petite, you know all too well that shopping can be somewhat of a struggle. While some brands do cater for those under 5'4", petite women are still a largely underrepresented group within the retail realm. Trouser hems are ridiculously long—so much so that they often leave me looking like I'm setting off for my first day of clown college (while the waistline tends to slip down to my hips). It's frustrating, to say the least. Which is why I've turned to the A-list to help me with my petite plight. So many short celebrities have excellent fashion sense (think Sienna Miller, Zoë Kravitz and the ever-stylish Olsen twins), so I've deciphered their go-to looks to create the ultimate petite capsule, the fruits of which you'll find below. The goal isn't to change the way you look; instead, it's about making your physique more in-proportion. Once you crack how to do that, you can wear anything you please. From the dress Sienna swears by to the shoes Ashley rarely leaves the house without, keep scrolling to see the few key pieces short celebrities rely on. Style Notes: Be it in suit, trouser or dress form, vertical stripes are an essential part of any petite girl's wardrobe as the lines create the illusion of length, as evidenced by 5'2" Zoë Kravitz. Furthermore, ensure you keep the look tailored to enhance your shape. Style Notes: Ashley Olsen's go-to shoes are undoubtedly flesh-coloured pumps, which she's worn on a multitude of occasions. By matching your footwear to the colour of your skin, you trick the eye into thinking you have longer legs, balancing out your silhouette in the process. We'd never believe Ashley is a mere 5'0" in this outfit. 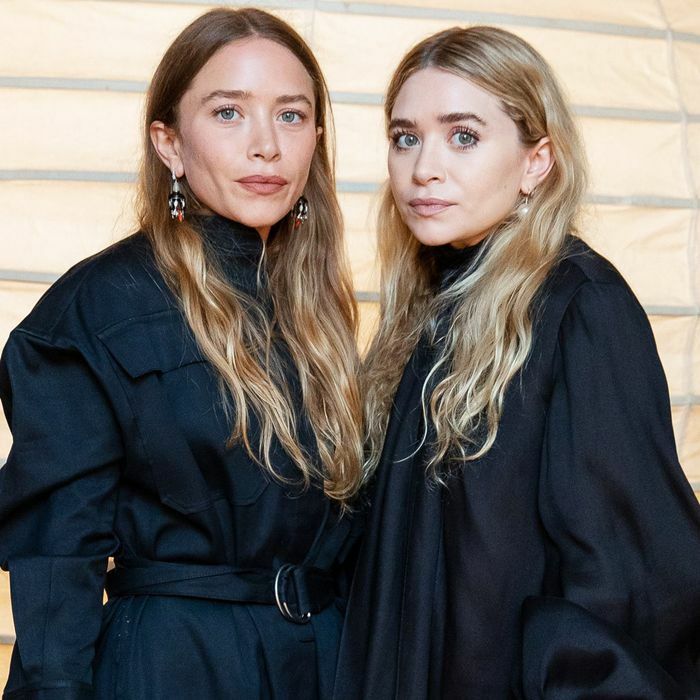 Style Notes: Ashley isn't the only Olsen who knows how to dress her petite frame well: Mary-Kate—who stands at 5'1"—is also an expert. One of her failsafe tricks is to cinch her waist with a wide belt. In doing so, she divides her body proportionately, making her seem taller in the process. Simple but so effective. Style Notes: You might not think it, but high necklines give the appearance of a longer torso, which in turn makes your overall frame look longer, too. Case in point? Lupita Nyong'o, who, at 5'4", looks significantly taller in her Gucci dress. Style Notes: Measuring 5'1", Nicole Richie continually serves up excellent petite outfit inspiration, and this ensemble is no exception. Her bold printed blouse commands the overall focus, allowing her block-colour maxi skirt to elegantly drape to the floor, which bestows her longer-looking legs. Masterful. Style Notes: You might not think it, but midi skirts are extremely flattering on petite frames. They sit neatly on the waist, helping to define it while skimming your legs to create a flattering silhouette. The flash of ankle on show then makes your legs look leaner. Indeed, we'd never guess Jenna Coleman was 5'2" in this getup. Style Notes: Scarlett Johansson, at 5'3", knows that wide-leg trousers are a petite's best friend. They're classic, hang elegantly and make your legs look never-ending. Make like Scarlett and pair yours with a fuss-free tee and strappy sandals. Style Notes: If you're constantly having to take long dresses to your tailor to be hemmed, it's high time you added a dip-hem style to your wardrobe. Sienna Miller, who is 5'4", wears them on repeat, as they give the same elegant air as maxi styles but require no alterations whatsoever. Also, much like midi skirts, the subtle flash of ankle helps break up your overall silhouette, making you look taller, too. Style Notes: Just because you're petite doesn't necessarily mean your body is in proportion. If you're like Lucy Hale, who is 5'2" and has shorter legs in comparison to her torso, try balancing out your frame with a pair of high-waisted jeans. Style Notes: Her penchant for lycra is undeniable, but Kim Kardashian West, 5'2", also knows that long coats look chic and frame her physique perfectly.